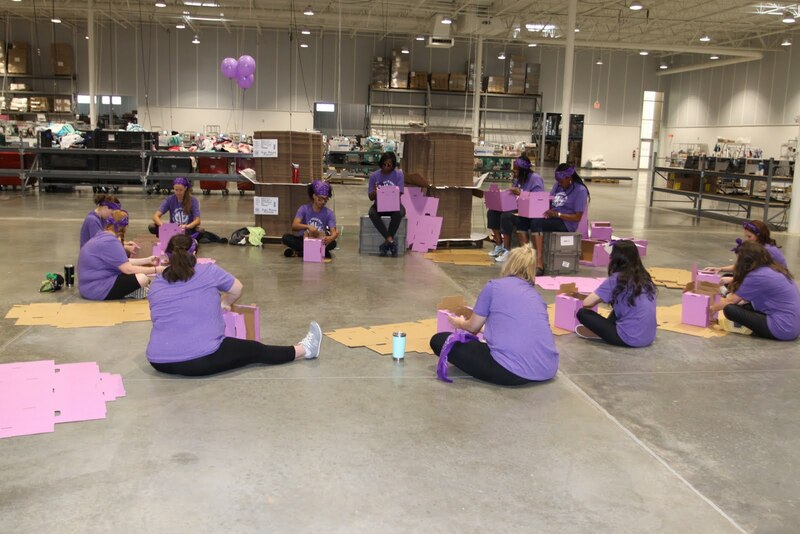 Two weeks ago, Marleylilly put team building to the ultimate test with a company-wide box competition! The boxes were assembled for a new robotic fulfillment system coming Summer 2018. 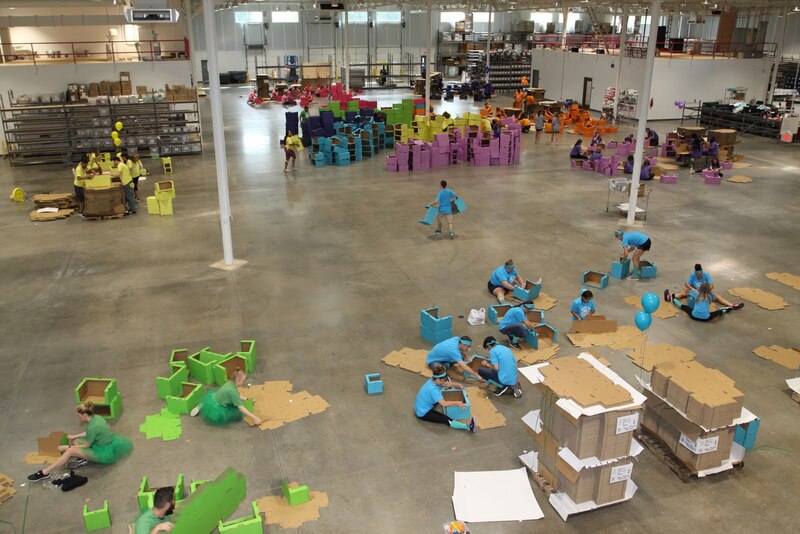 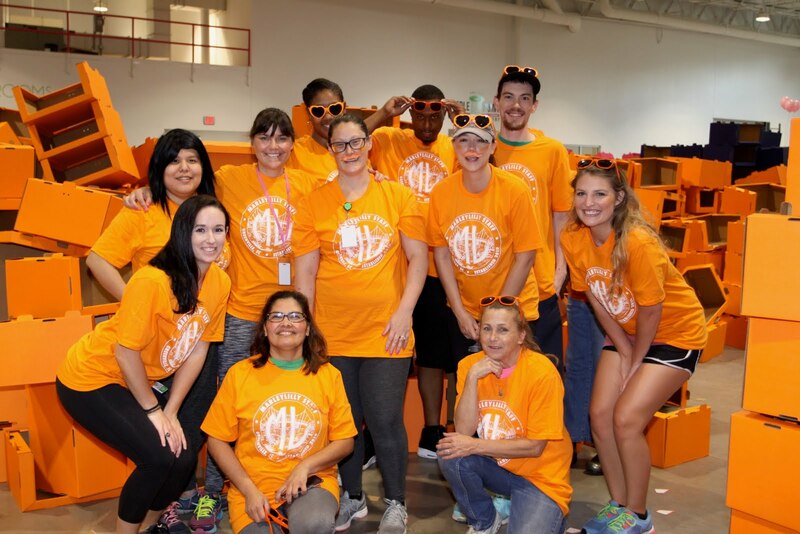 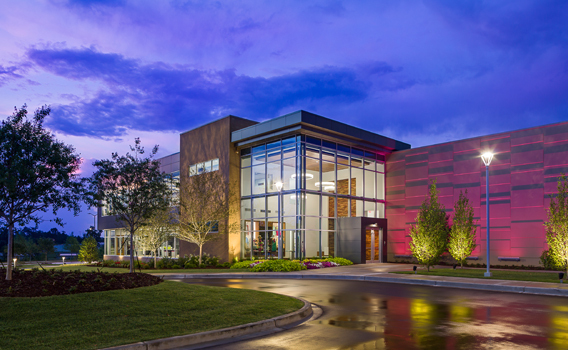 Employees were divided into seven teams; pink, teal, orange, purple, yellow, navy blue and green. 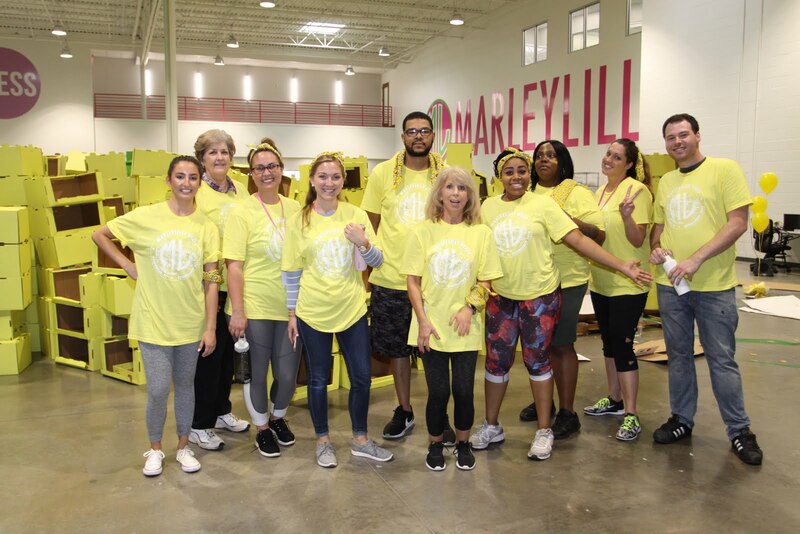 In true Marleylilly fashion, each team proudly repped colorful accessories — superhero masks, high-knee socks, furry mustaches, bandanas, light-up headbands, and tutus, to name a few! 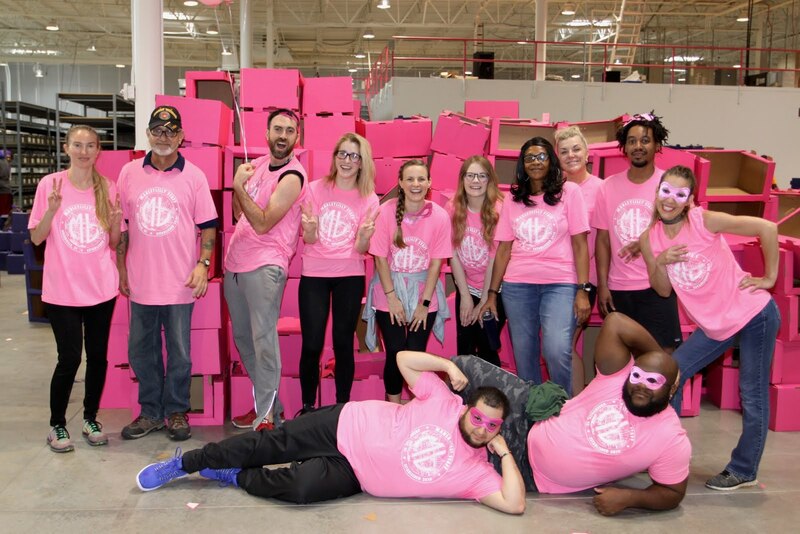 The first team to assemble all their boxes won bragging rights, a special prize, and the highly coveted honor of naming the new robots! In the end, Team Purple claimed the win and took their victory lap to the tune of Queen's "We Are the Champions", but everyone left the competition with a smile and full belly, thanks to our fiesta luncheon with Salsarita's. 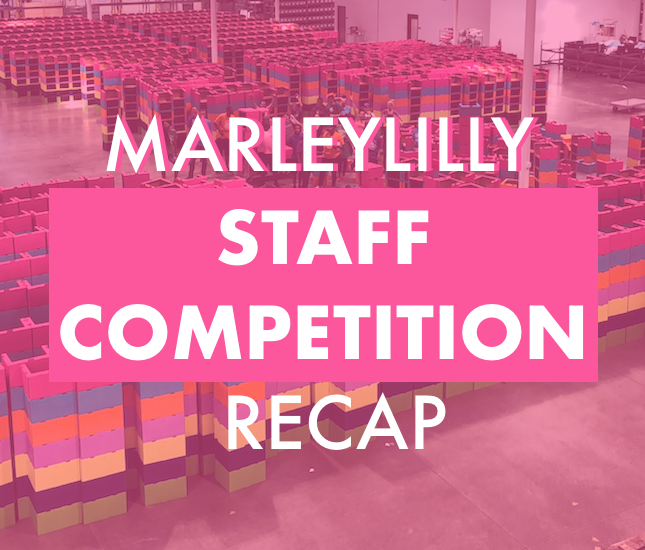 The 2018 Marleylilly Box Competition was one for the books! It was a great team building experience and gave everyone the opportunity to mix and mingle with different departments! 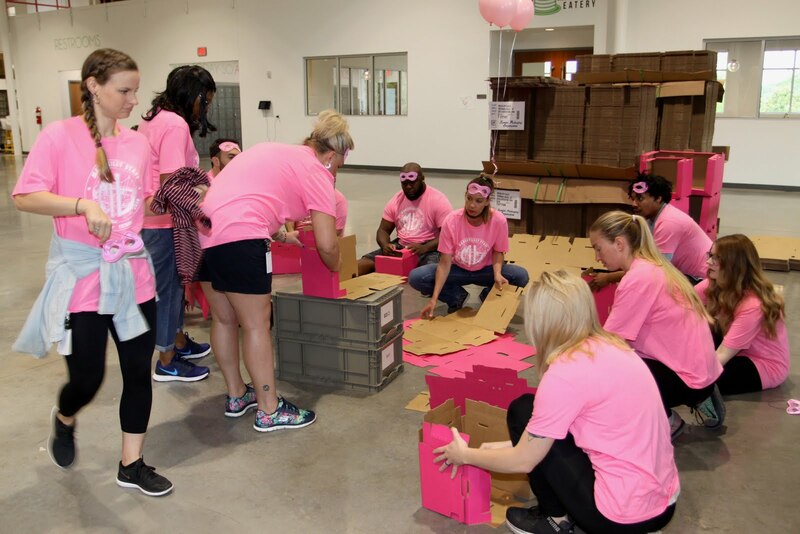 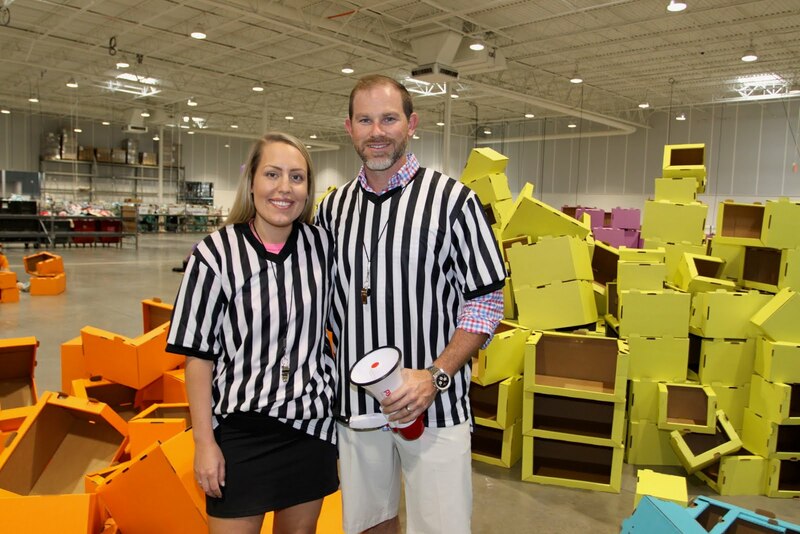 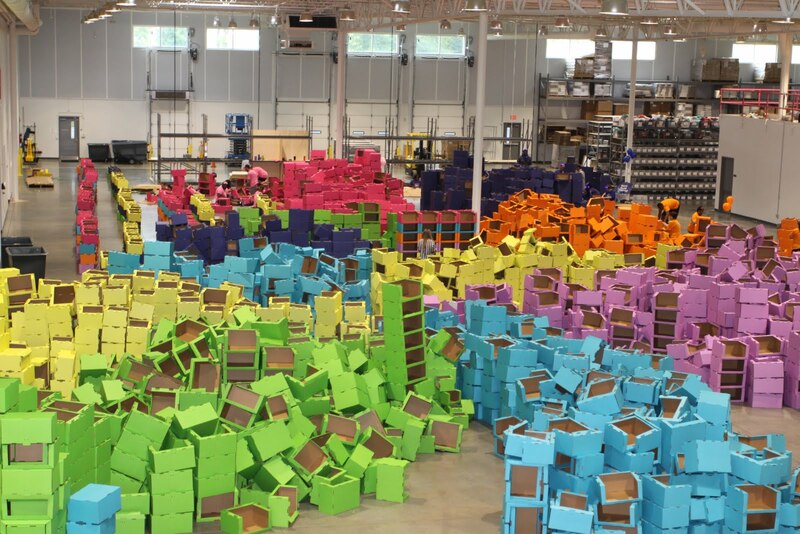 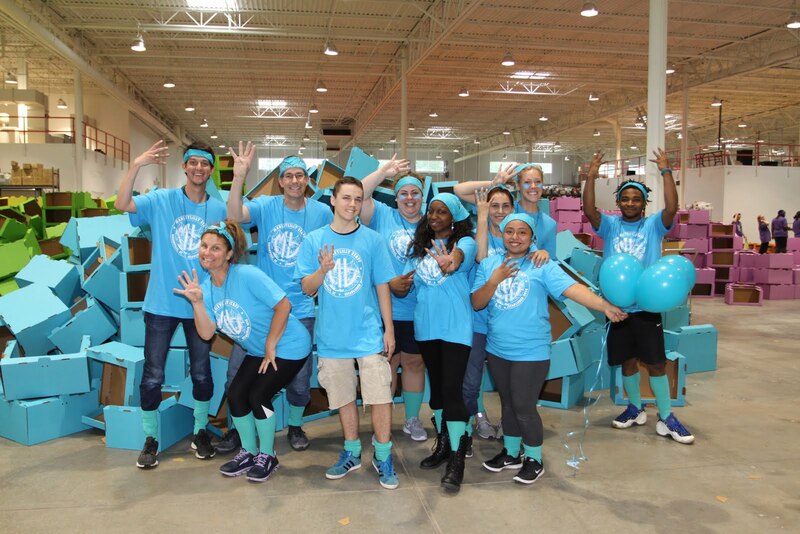 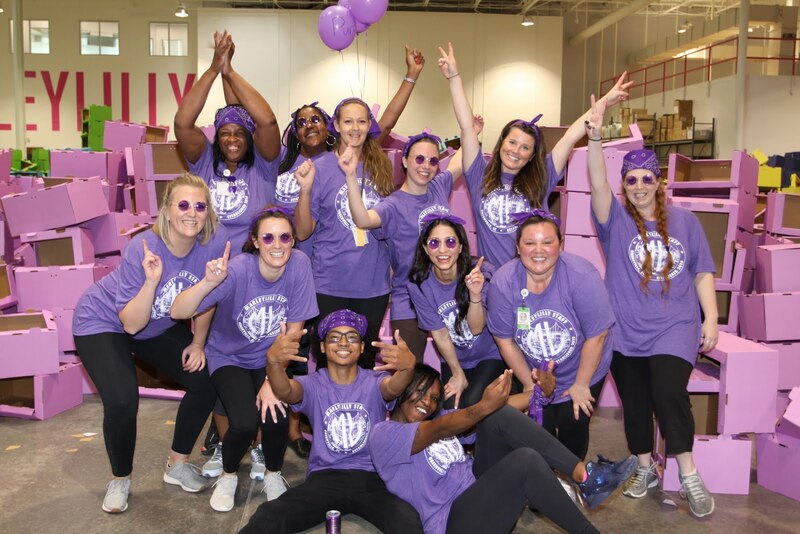 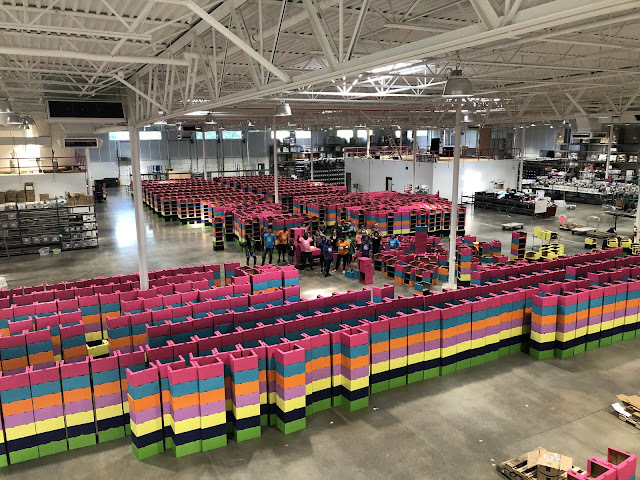 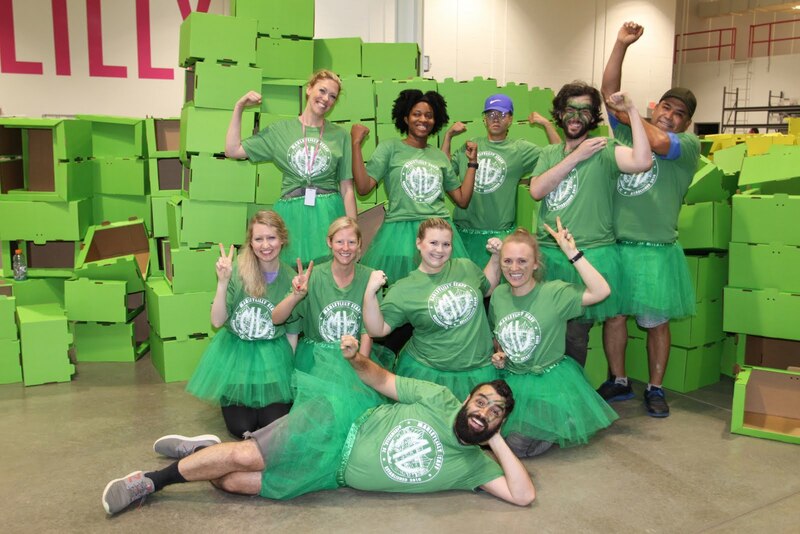 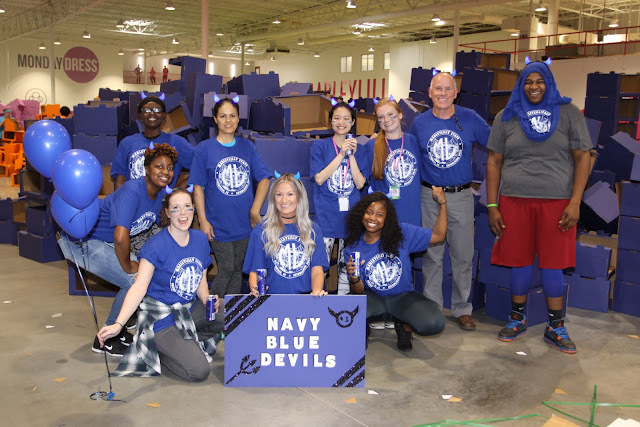 We hope you'll be inspired by our colorful box competition to create your own team building experience, whether it's with co-workers, teammates or a with a big group of friends! 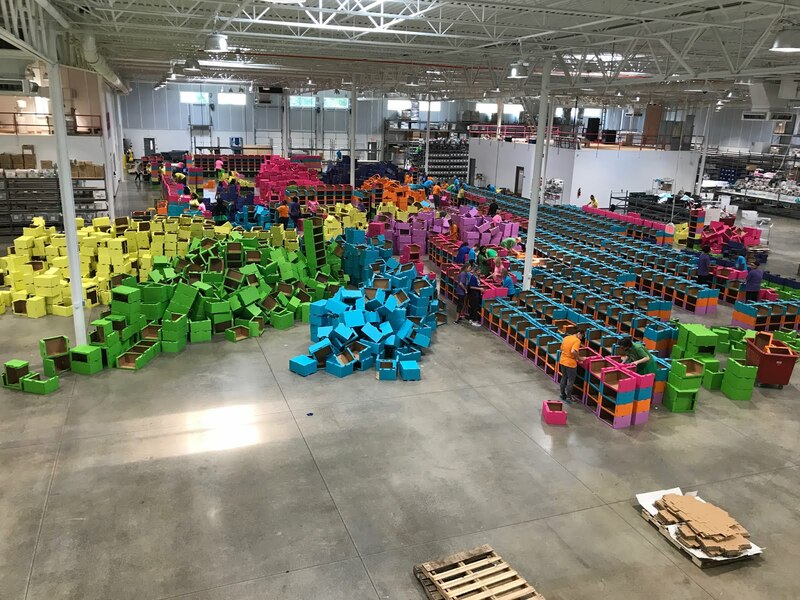 Speaking from experience, add some color —it makes it all the more fun! Until the next competition —peace, love, and monograms!